Hands are the main working tool in any field, especially in manufacturing and craft industry. 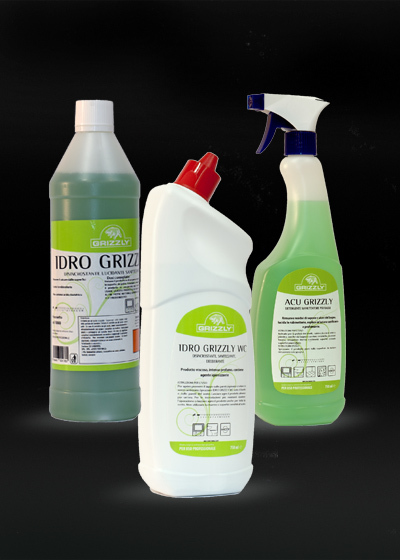 The GRIZZLY line of products for the hands takes care of this valuable tool both before and after work. A skin-protecting and non-abrasive creamy detergent. Specific for mechanical oil. It contains emollient obtained from coconut oil. It also eliminates charred grease without clogging the drains. It does not contain abrasive agents, but is as effective as the handwash pastes and, being more delicate, it can also be used several times a day. A neutral product. It washes gently, it’s light and has a pleasant scent. For normally soiled hands. 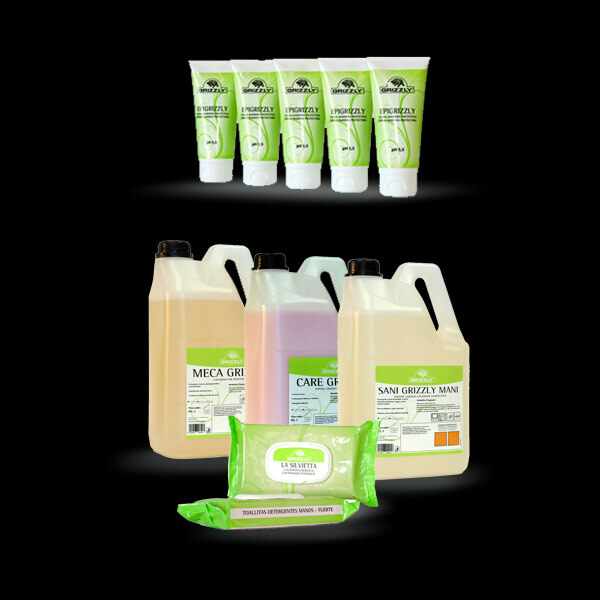 Its gentle formulation allows it to be frequently used. Containing amphoterics and quaternary ammonium salts, it acts against bacteria and germs. Without fragrance and colorings, it is gentle on sensitive skin. Suitable for use in the food industry. It complies with HACCP protocol. Protective hand cream. It defends the skin from contact with oil and water emulsions, oils, turpentine, lubricants, fuel, solvents, adhesives, resins and the pulverulent substances such as soot or glass fibers. It does not alter the skin's moisture balance, it contains glycerin for a highly moisturizing action. It absorbs quickly without greasing. Useful wipes soaked in a cleansing lotion that acts as solvent and degreaser. 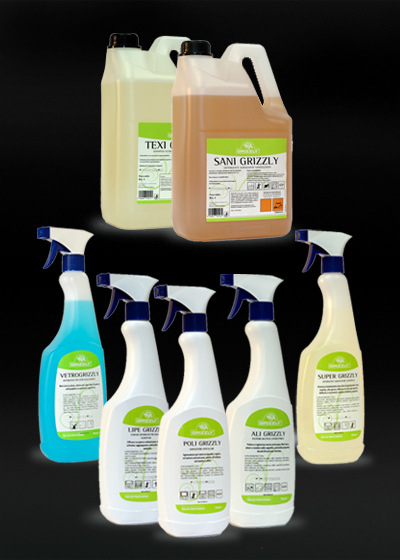 Ideal for cleaning hands stained with oil, paint or other dirt. 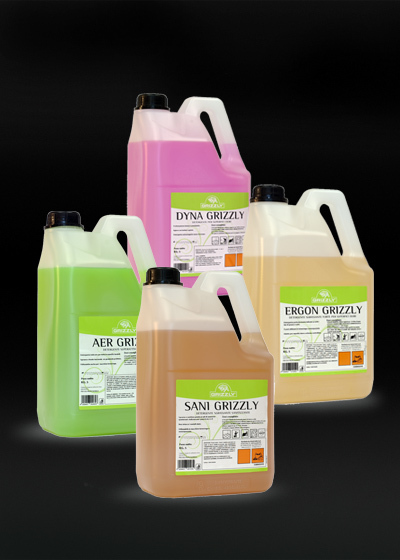 Dermo-compatible and also suitable for frequent use thanks to plant-derived surfactants. The special microabrasive fabric further enhances the effectiveness of the product.